Press Release: It’s graduation week, and Emma is having to move forward whether she wants to or not. There are crushes to confess, sexuality to sort out, and a few (or maybe more than a few) last drinks to down with her best friend Joey. In her debut graphic novel, The Floundering Time, Katy Weselcouch tells a story of a time of life when if feels like you’re simultaneously standing in place and being pushed into the world. 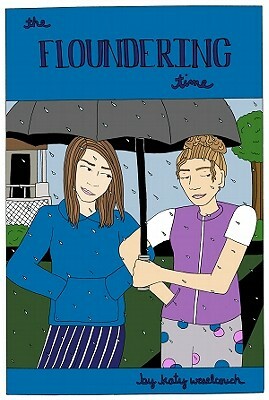 In the vein of Alison Bechdel’s Dykes to Watch Out For and Ariel Schrag’s Potential and Likewise, The Floundering Time offers an exploration of love and sexuality without treating them as “issues.” Emma harbors a long standing crush on her transgender friend Elliott, while Joey goes through a seemingly unending supply of stoic bad girls as they avoid the looming questions of their “futures.” Weselcouch cites the setting of the story as key to this tone. 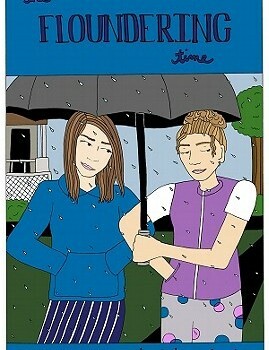 The Floundering Time is a 160-page black-and-white graphic novel, to be released in May 2011. Its ISBN is 978-1-59362-211-4 and it is priced at $12.95. It will be available at bookstores, comics stores, Amazon.com, and through the publisher’s own website at www.slgcomic.com. 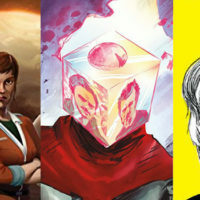 Digital editions for iOS and Android devices will be available from Comixology, Panelfly and iVerse. Established in 1986 and now celebrating it’s 25th year, SLG Publishing has been home to several notable comic book creator’s first work including Johnny the Homicidal Maniac by Jhonen Vasquez, Pinocchio the Vampire Slayer by Van Jensen and Dustin Higgins.